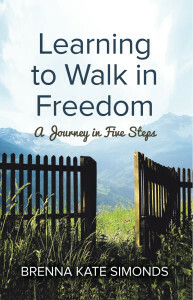 Besides blogging here, Brenna Kate’s main focus has been on developing the amazing resource that is Learning to Walk in Freedom. This book is currently available for Kindle at Amazon.com and is available in paperback. Read what people are saying about the book. Brenna Kate Simonds has also written for Boundless.org, the webzine of Focus on the Family and is a current blogger at FINDINGbalance, the leading Christian resource for daily help with eating and body image issues. You are welcome! You played a part in who I am today, and I’m eternally grateful! Your testimony which I just saw last Thursday on youtube was a huge blessing to me. It spoke so directly to a lot of things in my own life. I then went and purchased your book which I’m really looking forward to reading. I just had a question. Really liked your rendition of Psalm 131. Do you have a video or recording some where other than in the testimony. Hey, Brian! Great to hear from you. I unfortunately do not have a great quality recording of that song, though there is a recording here: http://brennakate.com/AliveNRadical/16%20morethanwatchmen.likeachild.mp3 I have a better copy of this recording somewhere. I’ll see if I can locate it for you! Just finished reading your book which was immensely helpful. I shared my crazy testimony at church today in front of a couple large audiences. God blessed it greatly and reading your book helped me make it through. I recommended it afterward to some people and will be doing so in the future. Great work sister and thanks again!